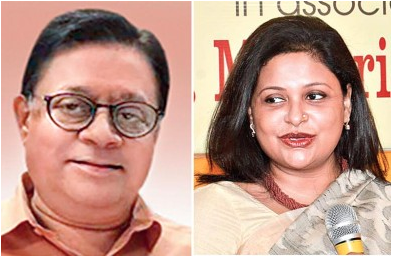 Jbmf’s founding members Mr Chandan Basu and Rakhi Basu has been recently appreciated by a leading newspaper named Ananda Bazar Patrika. They have been applauded for the silent and behind the scenes activities that they have been doing since the formation of JBMF. They are off from all the political hustle and have been working for the betterment of the society in thier own possible ways. To know more, click here. Friends of Liberation War Honour(Posthumous) as expression of the respect and gratitude of the Bengalee nation for his unique contribution to the War of Liberation of the People’s Republic of Bangladesh. An article talking about JBMF’s initiative in PTI. 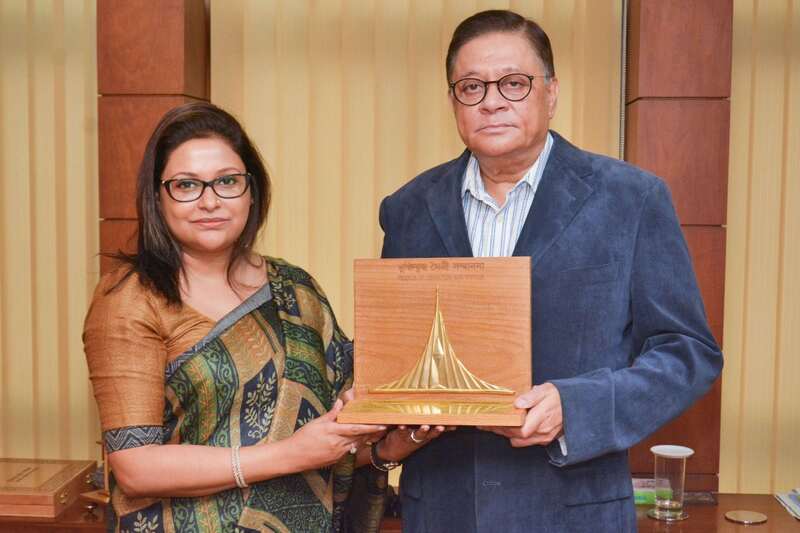 JBMF’s endeavour to stand for the less privileged being acknowledged by UNI. 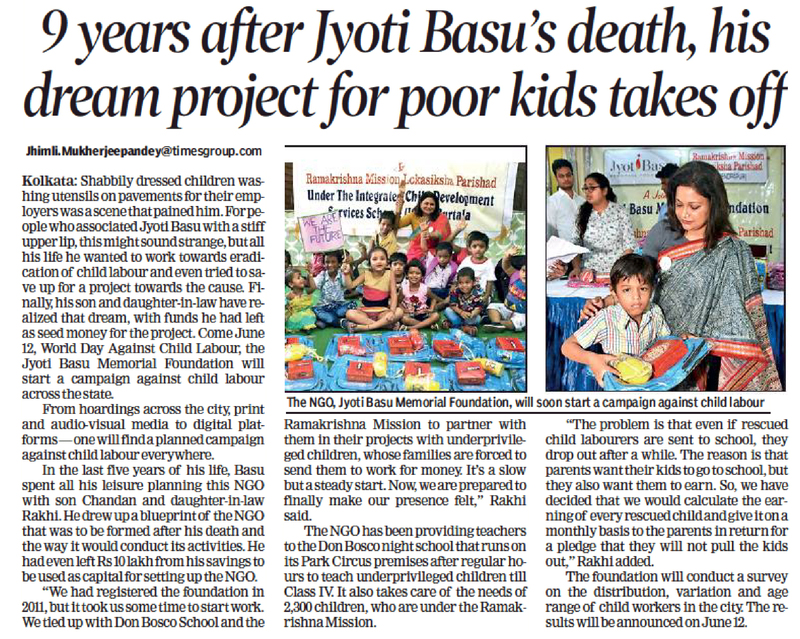 IANS turns the spotlight on JBMF’s effort to serve the society. Click here, to read the article . 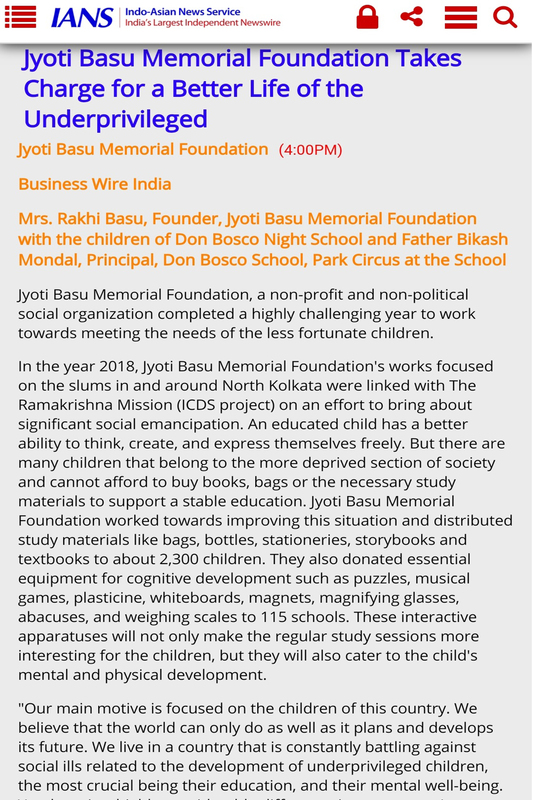 HTDS talks about the ventures of JBMF to bring about a change. 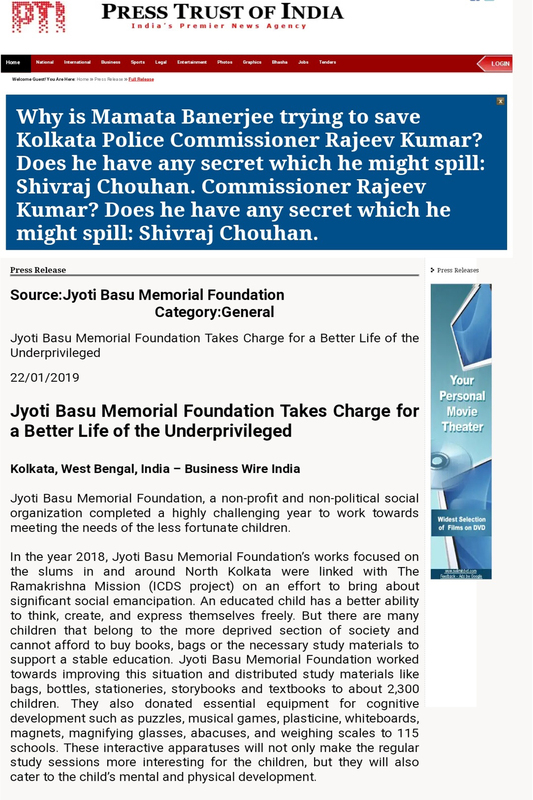 You can click here, to know more about the article. An article in Business Fortnight featuring JBMF’s positive attempts. 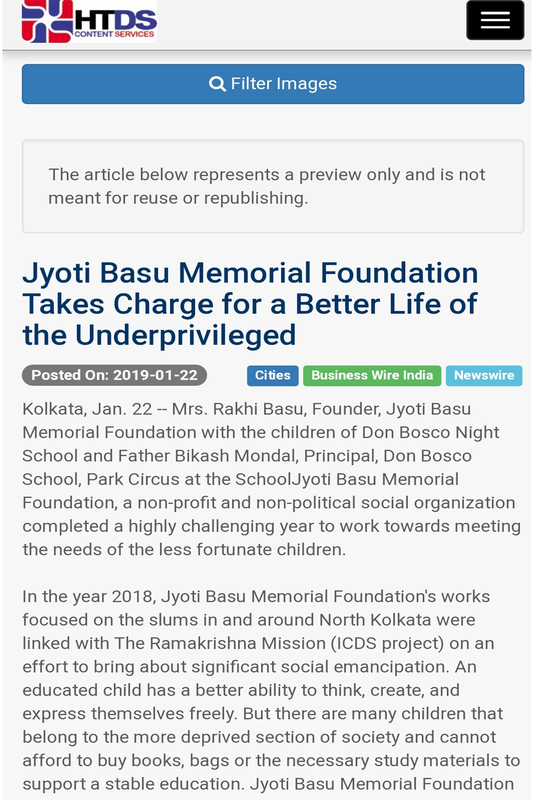 Click here, to know more about the article. 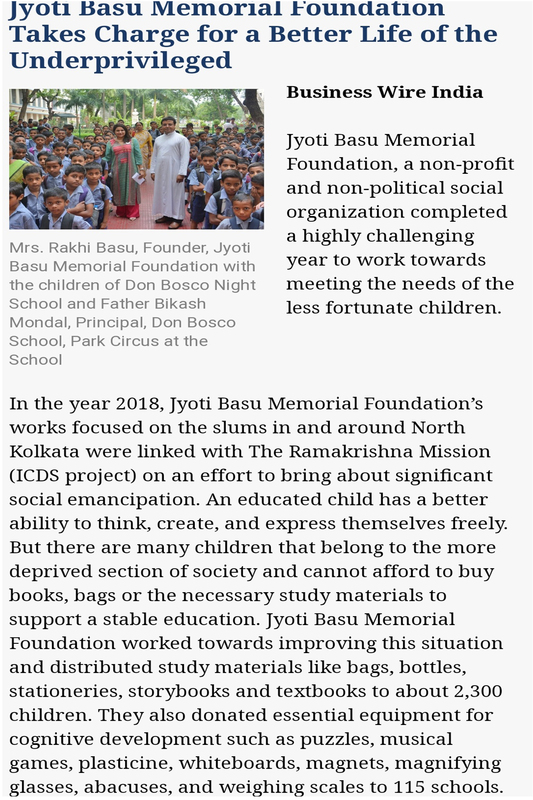 The Times of India talks about JBMF’s attempts to bring about a positive change.